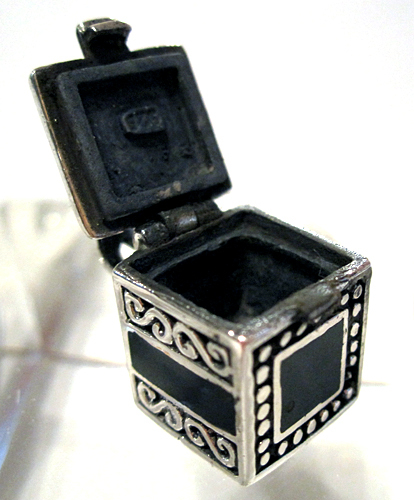 Dimensions (HxWxD): 0.85" x 0.5" x 0.5"
This Sterling Silver Filigree Onyx Prayer Box Locket was created by the world famous Thai silversmith artisans known for their skilled & beautiful silver & gemstone works of art. It has twin moonstones on three of the four sides. 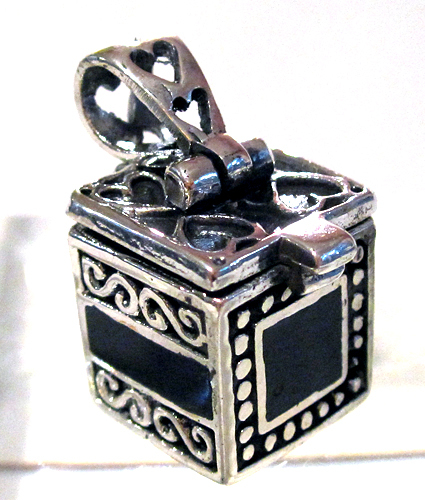 Wear this Sterling Silver Prayer Box Locket as a pendant & it is the perfect place for your prayers to go through the Compassionate Heart straight to the Divine. Note: weight above is shipping weight. Actual weight is 7 grams.